A New Year. A New Quarter. A New Post About All Things ‘New’! 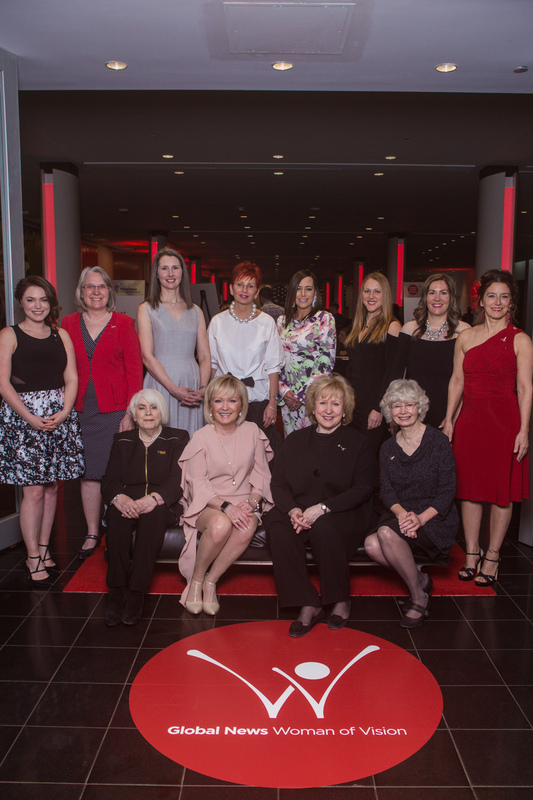 Photo taken by Nick Hirschmann at this year’s Global News Woman of Vision event held at the Shaw Conference Centre on April 6, 2018. As Tycoon’s first quarter of 2018 comes to an end, it’s really just the start of a new year, and we’ve got big things planned for you 2018! Let’s start with some quick updates and event recaps, shall we? In January we wrapped another success event design project for the Syngenta group as part of their Customer Appreciation Event. We always get excited about this event because we get to flex our creative muscles and get those innovative juices flowing, not to mention they’re a great group to work with. Have you had a chance to scope out the photos from the event yet? If not, click on the photo below to access all of the photos and case study overview. Next up, and a new event for us this year (not to mention a BIGGIE! 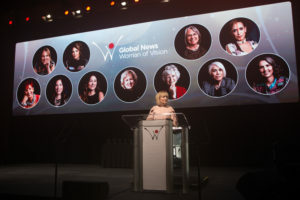 ), the Global News Woman of Vision event. The event included a recipient rehearsal reception at the Hotel Mac on Thursday, April 5th, along with a full day of set up that same day, and the luncheon gala the next day on Friday, April 6th. We’ve just JUST just posted the photos online. Feast your peepers on all of the event photos by clicking on the photo below. Our next event took place on Friday, April 20th for the Office of the Auditor General of Alberta. 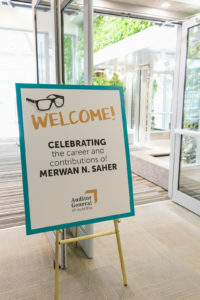 As Merwan Saher, the then current Auditor General of Alberta was a week away from passing the torch to the new incoming AG, we had the privilege of planing an event that celebrated his career and contributions to the province of Alberta, his peers, his proteges, his team and staff, his family, and his friends. We’ve also JUST uploaded the photos from the event today and are freshly available for your viewing pleasure by clicking on the photo below. Next up, we’ve been consulting on a conference that takes place on May 5th for River’s Edge Counselling called the “Renew & Restore Conference”. 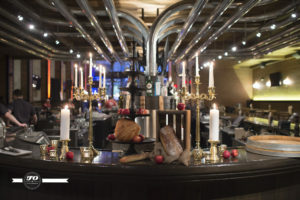 A great alternative for some, we provide consultative support to event hosts who need a little bit of guidance and feedback but are happy to do the majority of planning themselves. Depending on the number of hours you might need our consultation services for, hourly rates vary from $100.00 to $125.00 per hour. For more information on these types of services, check out this link. Now, let’s look ahead to some of the new events and clients that we’re working with! We are working with the University of Alberta Libraries team on their Open House event of the new, state of the art Research and Collections Resource Facility (RCRF) that takes place on May 31st. We’ve got a fantastic event lined up, so stay tuned for more on that one! On June 6th to 8th we’ll be supporting the INVENTURE$ conference in Calgary, Alberta working alongside Alberta Innovates and event producer Chris Valentine. Chris has produced events as part of SXSW and believe you me, we’re extremely happy and excited to be taking on the experiential elements and planning for this year’s conference. For more info on the conference, schedule, keynotes, and to attend, check out www.inventurescan.com. – And yes…we know you’re wondering…are we involved with “All is Bright on 124 Street” this year. We’re just working out the details, so stay tuned! So though we may only be heading into May and have just started the New Year, we’ve been busy, busy, busy! Until then, stay calm and plan on!